Form Plus Function is on my short list of favorite online sources for modern and contemporary lighting. They stock and sell all of the greats and I can usually find anything I need somewhere on that extensive website. I have an unusually difficult time finding lighting sources locally. Oh they're here. And how. But have yet to find a lighting source that's capable of returning a phone call let alone delivering my lighting in anything close to a reasonable time frame. It's an endless source of irritation. I prefer to do business with local, independent vendors. But when my local independents don't seem to want my business, I take it online. OK, with that off my chest, Form Plus Functions is having a warehouse sale and there are some real deals to be had. 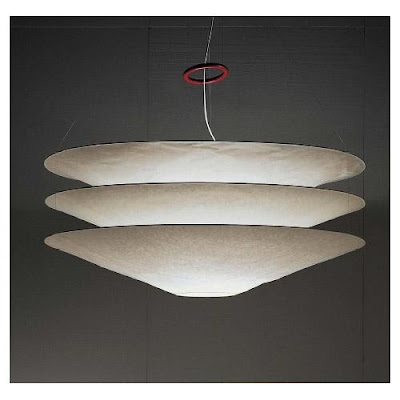 Form Plus Function sells lighting by my favoritest lighting designer Ingo Maurer. 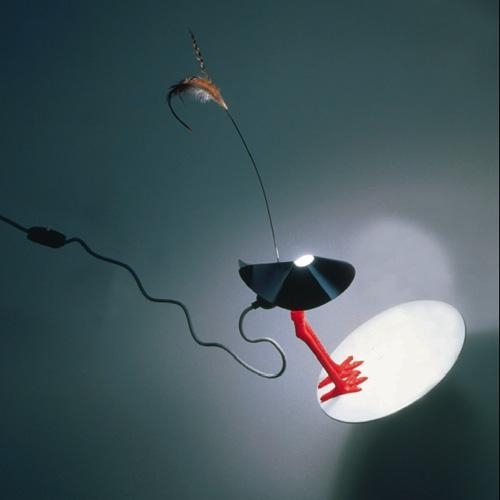 I have never seen Ingo Maurer originals go on sale in my life and it must be a sign of the times. 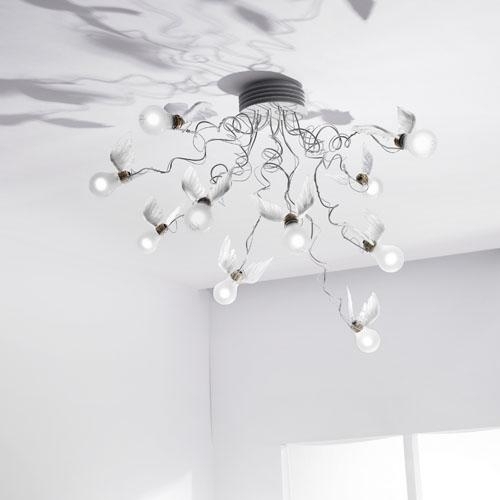 Ingo Maurer is a German typographer turned lighting designer with a world wide following. 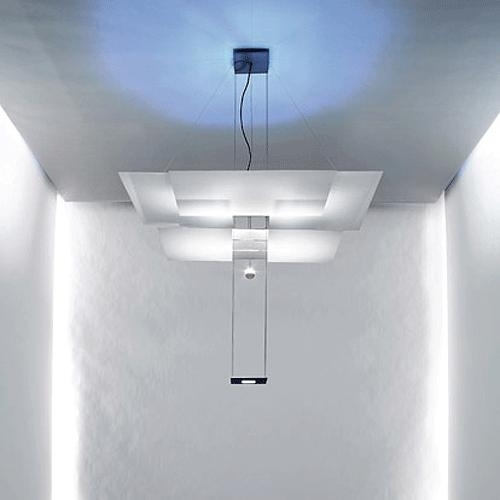 His fixtures are functional art and feature a perspective that amuses as it illuminates. His work walks a line between the conceptual and the practical. Improbable though his work looks, it never loses sight of the fact that at the end of the day it's still a light fixture. 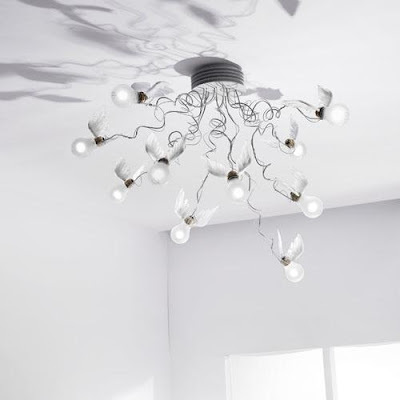 So of course, in addition to Ingo Maurer, Form Puls Function stocks such notable brands as Besa, Artemide, Flos, Tech Lighting, W.A.C., George Kovacs, Modernica, Hubbardton Forge and too many more to list here. Seriously, their warehouse sale is not a gimmick, check it out if you're in the market for new lighting. In general all his works amazed me, and the second lamp, the one with the wings is beautiful, very simple!! Take a look in this new brand, DELIGHTFULL, is a young brand with great projects, great tribute to the lightning design...hope you enjoy it!! Congratulations on your Blog keep posting. If you have something to announce, send me a press release. Leaving links behind in a comment section is not the way to go about garnering good will.